Ethereal figures rise from the dark depths of Shyish, the Realm of Death. The Nighthaunt are not a troop of brave soldiers, but tortured, rage- and hate-filled souls, created by Nagash and his necromantic followers. They despise the living and attack the Mortal Realms to take revenge. You no longer have to torture yourself by asking yourself how to stow your Nighthaunt army and get it to the next game. 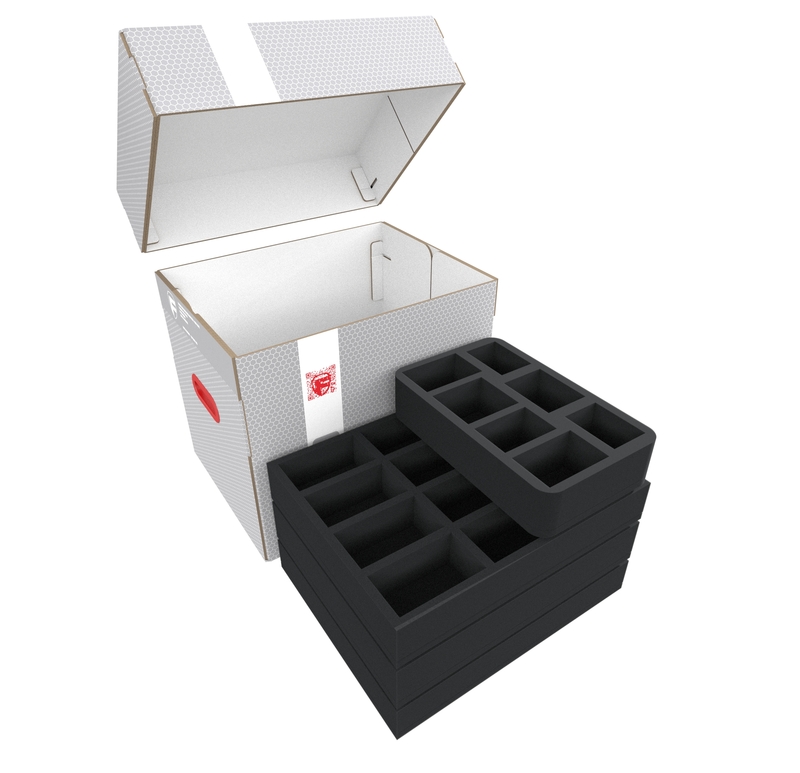 With this Storage Box set you have space for over 90 models, all safely and neatly stored and compactly transportable. One custom-made foam tray hosts two powerful leaders of the Nighthaunt - Kurdoss Valentian, The Craven King and Reikenor the Grimhailer. 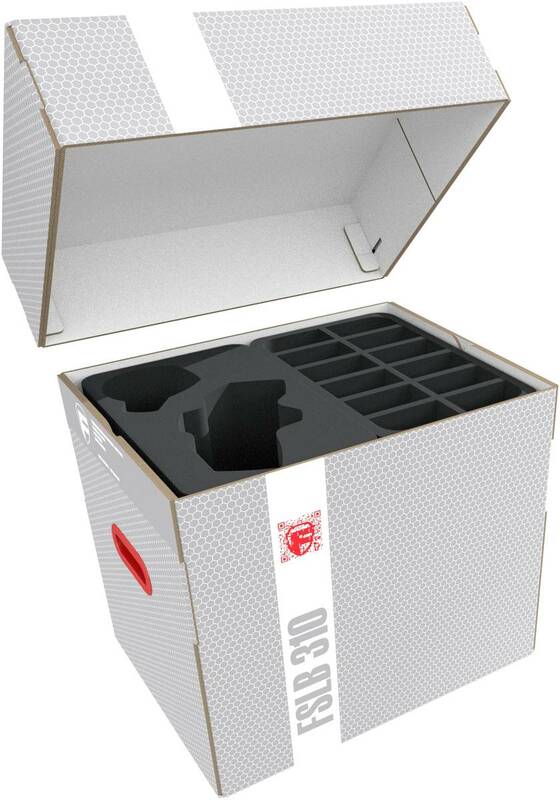 The insert is divided into 2 compartments, which are exactly tailored to the individual miniatures. This ensures that even during transport Kyallaron's wings remain intact and that the flag of the Craven King continues to fly. Thanks to the precisely fitting compartments, the figures remain in place and do not collide with each other, even on rough paths. Your painstakingly painted models are safe from scratches and chipped paint. But not only the HQ get a safe, soft place here. The Full-Size inserts are primarily concerned with the welfare of the battleline units of your ghost army. With 12 large compartments, the FSMEEY055BO is ideal for storing larger Nighthaunt models such as the Grimghast Reapers, Glaivewraith Stalkers or Crawlocke the Jailor. Also suitable for larger to medium-sized ghost warriors, the FSMEFP060BO offers space for 16 miniatures. Here you can for example save the filigree Dreadscythe Harridans their way to the healer. With the FSBR050BO, the package includes a mat that fits both smaller standard models and oblong miniatures with bases up to 40 mm in diameter. Especially the spirits of the Chainrasp Hordes will feel at home here. Beside these trays there are three more Half-Size mats for your Nighthaunt army in the box. The HSLZ060BO has 7 compartments of different sizes and is ideal for bulky ghosts, in overhanging poses. Also ideal for elongated spectres, the HSMECP045BO comes with 12 places for your Nighthaunt. Each of the 12 compartments ist 73 mm long x 36 mm wide x 35 mm deep. 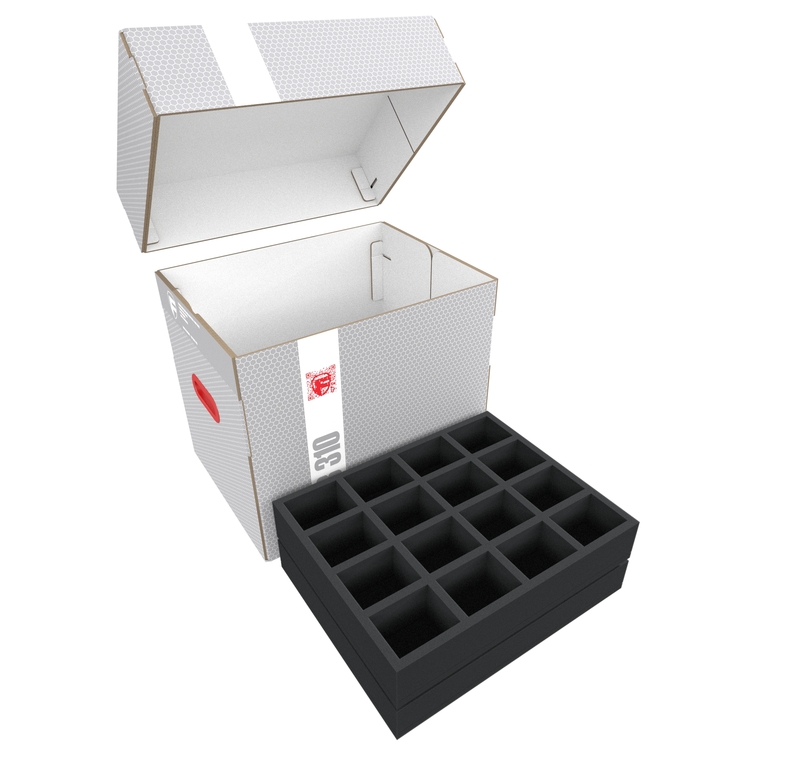 With the HS040I012BO you get another 12 compartments for smaller miniatures. Each compartment is 54 mm long x 41 mm wide x 30 mm deep. 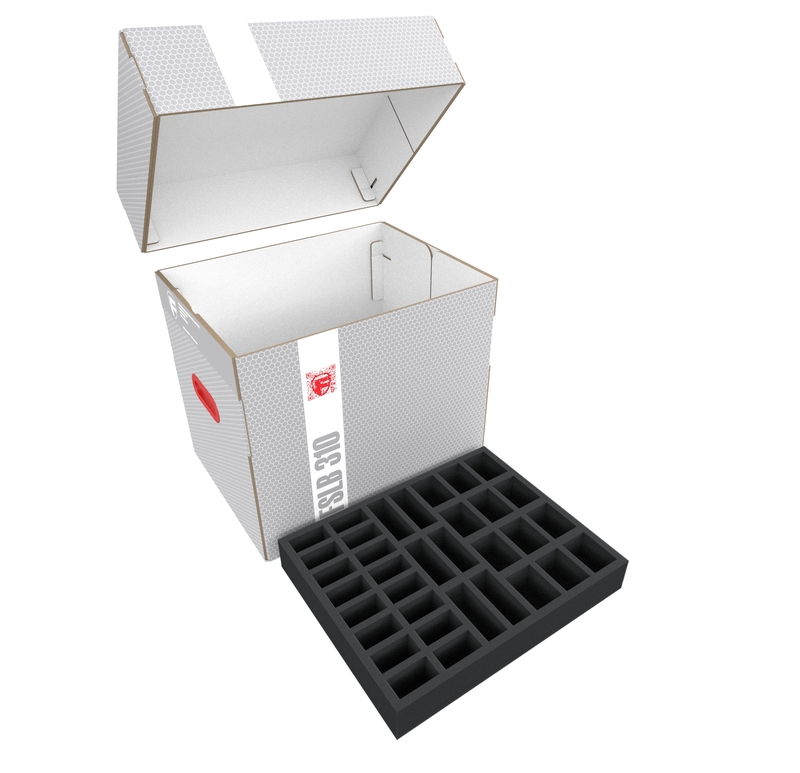 A suitable foam topper ensures that also the warriors on the top mat are securely packed all around and that no ghost collides with the lid of the storage box. 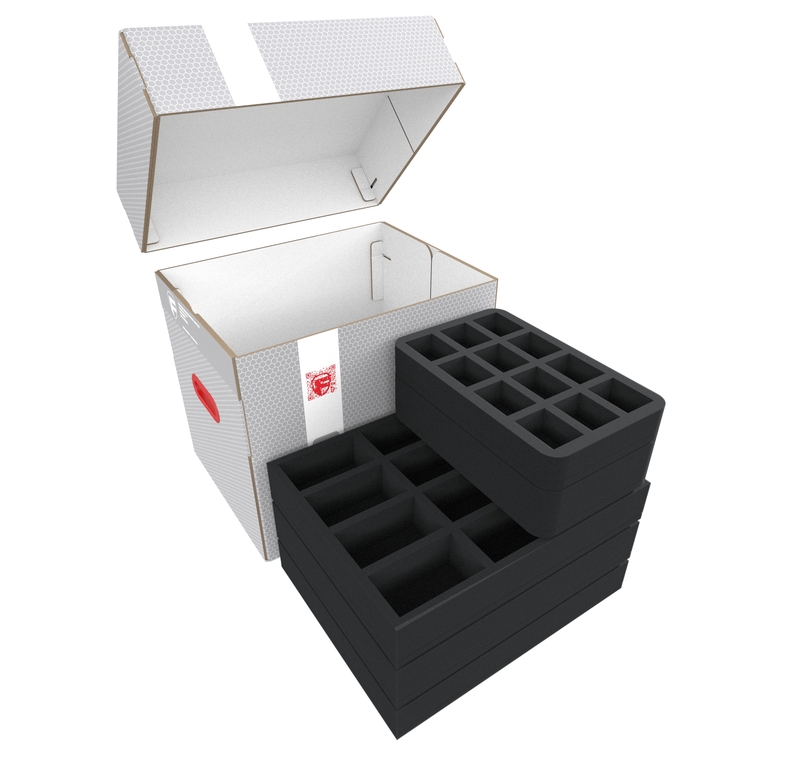 The storage box FSLB310 is made of coated, double-walled cardboard and is therefore both very light and very stable. The attachable lid reliably protects the contents from dust and other external influences. 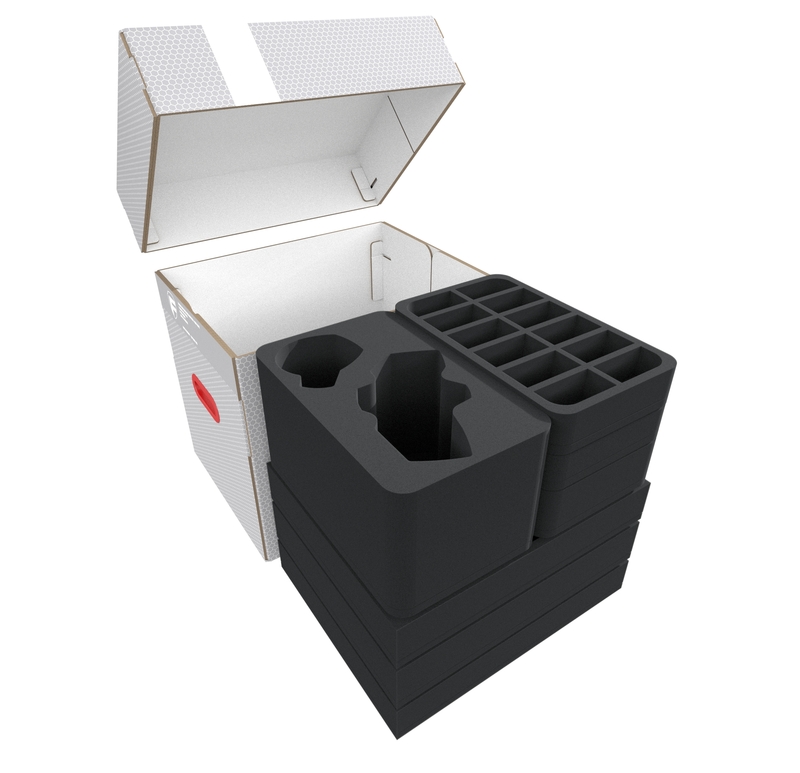 With the two plastic-reinforced carrying handles on the sides, you can transport the box very comfortably.